Police in the central region are rigorously doing their investigations and One of the men captured in a video of the lynching of Captain Maxwell Adam Mahama has been found dead. The deceased identified to be Francis Bio, aged 46, as per by the Identity Card found in a polythene bag in his hand. 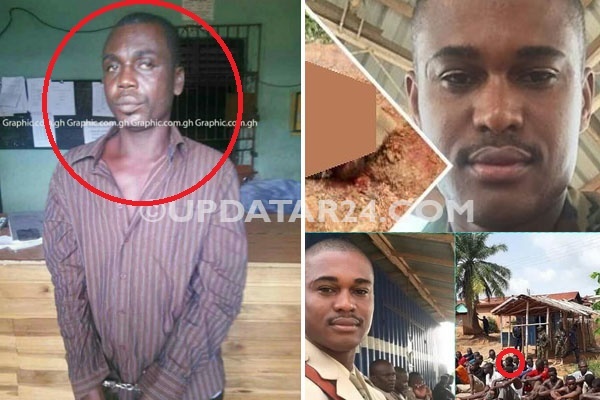 His body was found lifeless at Modase, a nearby community in Denkyira-Obuasi in the Central Region.Police found the body in a pool of blood early Thursday. “The Assembly Member for Modaso Area, one Mr. Isaac Aidoo lodged a complaint with the Diaso Police informing them about the discovery of the body of a male adult in front of an uncompleted building at the outskirts of the town.